24 March 2014 ~ A turn in the tide for Gold? 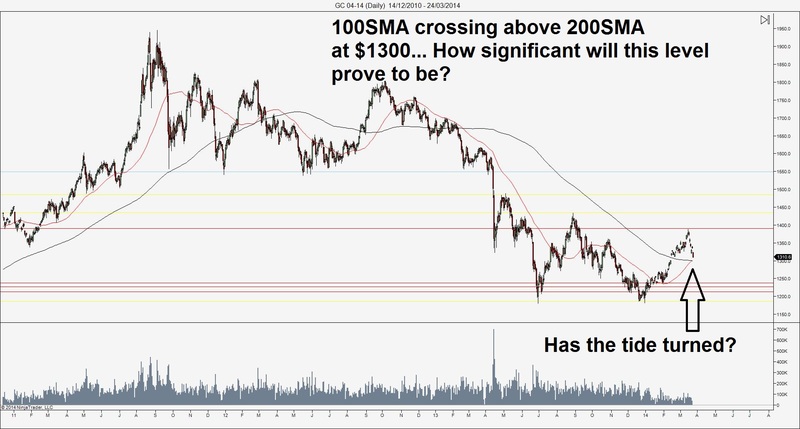 Interesting spot on Gold (GC)… the SMA100 is poised to break above SMA200 at the $1300 level – could this be the turn of the tide for gold? Will $1300 prove to be an important support level?